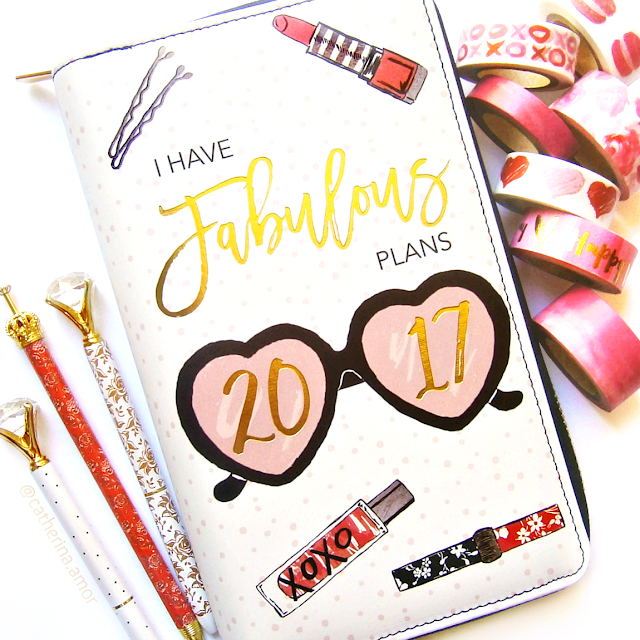 I've been wanting to get my hands on this zipped planner ever since it was made available! I finally got hold of it, thanks to my awesome planner buddy from the States. The design and inserts are all so gorgeous! Even if I don't end up using this, it was too "fabulous" to pass up. This is what the inside looks like. I've added some accessories to pretty it up even more. Some cute sticky notes and fancy paper clips.